To Be Built home by Turner Custom Homes, approx. 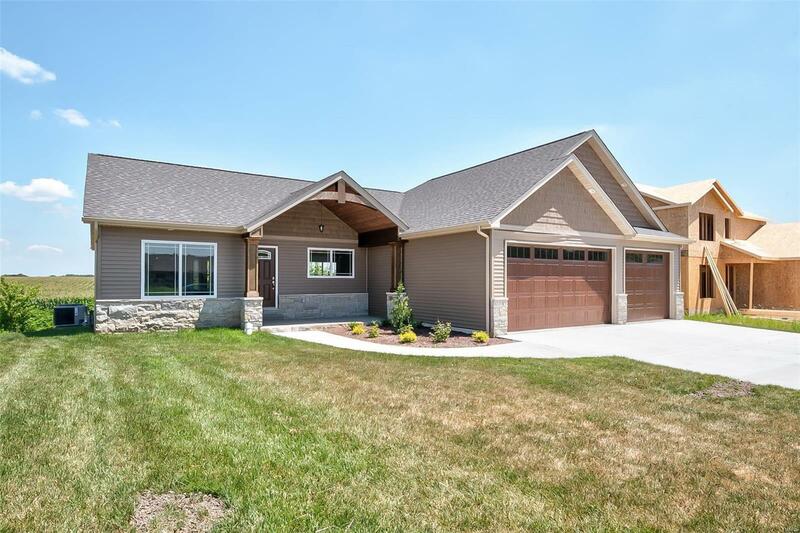 2800+ finished sqft, 5 bdrms, 3 car garage in O'Fallon Schools. 1 Story home features an abundance of natural light & high-end finishes at every turn. Main level: 9ft ceilings, Resilient floors. Cathedral ceiling. Open kitchen w/ granite counters, soft shut cabinets, brkfst area, island w/ bar seating, Dining area, family rm w/ gas fireplace, custom wood trim around windows, extended base molding, separate laundry, Large deck, Oversize guest bdrms, guest bath, split master suite w/ vaulted ceilings, large walk-in closet, gorgeous bath: adult height vanity, separate commode, vessel tub, separate shower. Full lookout basement has stunning oversized windows, 9ft ceilings, family room. 2 guest bdrms, walk-in closets, 3/4 bath, lots of unfinished storage.